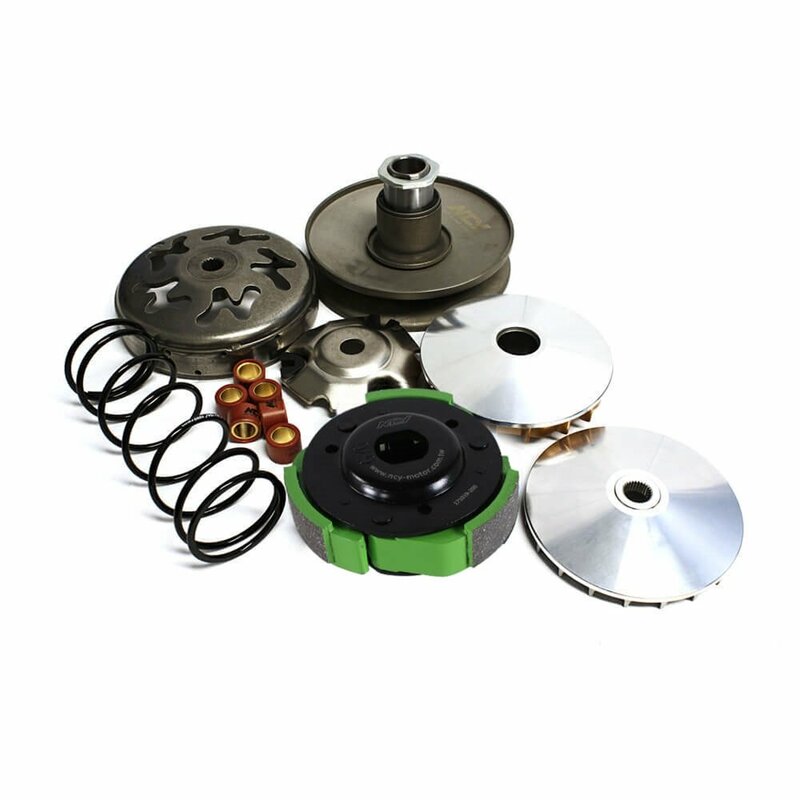 Complete kit with rear driven pulley, front fixed drive plus variator ramp plate clutch and bell torque spring and roller weights..adding Dr Pulley sliders and a 1500RPM Spring is suggested, the drive plates for the PCX are slightly different than GY6 so don't be fooled. 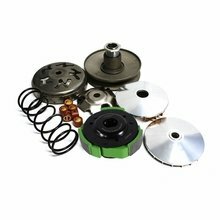 I can build the rear clutch for you to plug and play. The NCY Honda PCX CVT Trans Kit will get the PCX up and going and add top end speed with much faster take off to ride comfortably in traffic.